Air101: Crying Thomas Cook Cabin Crew Tell Passengers They Are Lucky To Be Alive. 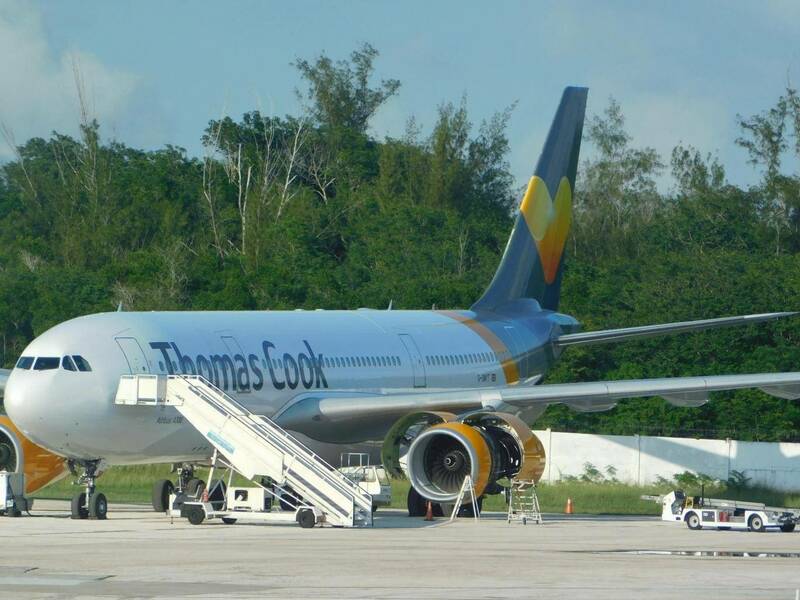 Crying Thomas Cook Cabin Crew Tell Passengers They Are Lucky To Be Alive. Passengers on a Thomas Cook flight from Holguin in Cuba to Manchester were left trembling and frightened for their lives when the aircraft they were on developed an engine problem at take off. The flight MT2653 had been scheduled to depart on Monday 27th November but had to abort its take off after flames were seen coming from the engine at the point of rotation following a loud bang from the power plant. "That's shocking behaviour, cabin crew are meant to remain cool, calm and collected in emergency and serious situations." A cabin crew training manager based at Gatwick told us. Adding, "A crying crew member would not be much use in an evacuation and could actually hinder passengers ability to vacate the aircraft. It's totally unprofessional." Not being able to trust that cabin crew are able to do their duty in emergency situations is a very worrying issue for passengers of an airline. Things deteriorated rapidly for the passengers of flight MT2653, they were forced to remain on the aircraft for nearly four hours while the engine was checked. Without power, there was no air conditioning working in the cabin and passengers were only given one small cup of water. Later in the lengthy delay passengers were given breakfast packs, when asked if hot food would be given out the crew said no, as it would only make the aircraft hotter. However, economy passengers later found out that hot food had been given out to those passengers in the premium cabin. It also appears that the premium passengers were allowed to deplane the aircraft an hour before the remaining passengers in the economy section. Passengers were taken to a hotel as another aircraft was flown to Cuba and took them home to Manchester two days later. The airline advises people contact their travel insurance companies for delayed departure compensation.